People are devoting more attention to creating personal spaces in their homes. Bathrooms have become private retreats designed for both function and comfort. A bathroom is often one of the smallest rooms in a house and that is why a well conceived design is essential to fully optimize the space. If you’re thinking about remodeling a bathroom it’s important to take some time to look at products and designs that may work in your home. We thought we'd share some resources that include places where you can see products installed and learn about planning your project, websites where you can view a variety of bathroom designs and styles, and magazines to read about current design trends. We invite you to visit our 5,500 sq. ft. showroom to see bathroom displays and products for your home. 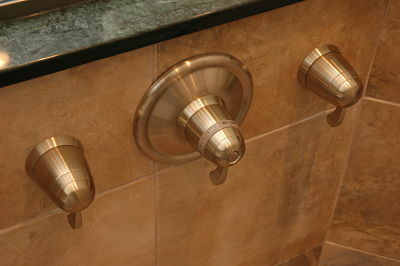 At Neal’s you will find an array of products including cabinets, counter surfaces, tile and hardware. We offer seminars to help you plan your bathroom project and you can set up an appointment to speak with a professional project consultant. You can also view bathrooms we’ve remodeled on our website. Pinterest is a social media scrapbook that allows you to create pin boards of images of interest to you. It was developed in 2009 and launched in 2010 so it’s a relatively new website with a growing interest. If you’re planning a bathroom remodeling project you can create a free Pinterest account and collect photos of design ideas and products from virtually anywhere on the Internet. In our blog articles, you’ll find “Pin It” buttons below photos, such as the two in this article, which make it easy for you to add photos directly to a “board” in your account. Check out our “Baths” board on Neal’s Pinterest Page. Follow us on Pinterest too. For the past 30 years HGTV has revolutionized the way people look at their homes. The “Designer Portfolio” featured on HGTV’s website is continually updated and a place where you can view hundreds of bathroom projects and a range of interior design styles. You can also see “before” and “after” projects and videos of design shows. Better Homes and Gardens Magazine celebrated its 90th year in print in 2012 and has been a resource used by generations of homeowners for interior design ideas. Since its inception, BH&G has had its finger on the pulse of America. Its website is one of the best sources for practical home improvement information. BH&G showcases great ideas for functional bathrooms where you can find storage solutions and innovative bathroom furnishings including seating, vanities and even medicine cabinets. BH&G also publishes 3 special interest magazines discussing the latest kitchen and bathroom trends and products. NKBA has an online “Inspiration Gallery” that you can browse to see some incredible bathrooms in a range of styles equipped with some of the newest products on the market. 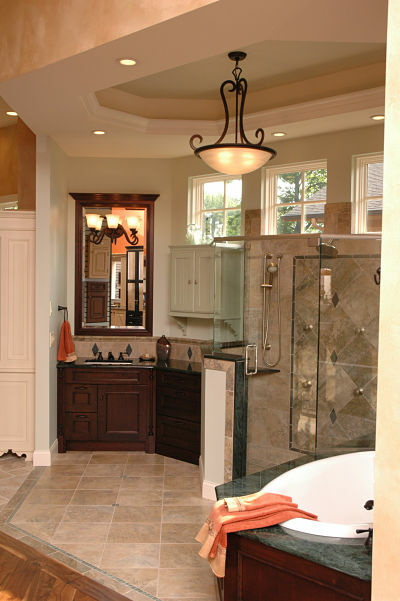 We hope you find these resources helpful in gathering ideas for your bathroom remodeling project. We would like to invite you to meet with one of our project consultants or designers to discuss your project. We always enjoy answering questions and sharing ideas.